Political Voice - You aint from around here? Topic: You aint from around here? Subject: You aint from around here? Good question I believe you will answer your own question once you consider the rationale behind what they are doing, and if you cling to your belief, should be concerned that quite possibly, it may not be as cut and dried, as you have been led to believe! Why do you think an inordinate amount of security is required at the creation museum, a place where the non-believers should just ignore and it will go away? I don't think there is anything about evolution cut and dry. I think it's a complicated scientific theory pushed forward over years of work by the scientific method. I know that creationism and science have nothing to do with one another. I also know creationism isn't mentioned anywhere in the bible..
Now you can believe anything you want even when there is zero evidence to support your belief. that after all is FAITH. Just keep your religion out of science books. The two don't have anything to do with one another no matter how many "museums" you build. Creation not mentioned in the Bible? Really. You are so wrong, on everything you just mentioned, that I am just going to drop it here and now. I only wish my faith was as strong as yours appears to be. Of course creation is mentioned in the bible. I have no faith. it is not a requirement for science in the least. my beliefs are evidence based.....and if the evidence proves my belief to not be true then we move on to what we have learned and now know. It's called the scientific method. It is not based in faith. You said it best "I have no faith". God only allows you to have what you have by His Grace! But the clock is ticking. You only have so much time on this earth to make a decision and even to make no choice to believe that there is a God in Heaven and you are willing to turn your life over to Him. To not decide is as good as saying "No" I do not want salvation and it will doom you to eternal darkness. If I need faith to understand and accept creationism then it very simply put has place in a school or science text. that is the only argument here. Understand that faith doesn't mean blind faith. There is a difference. There are good, rational reasons to believe in God. I've purposely avoided this thread because there's no point really, but I will say that anyone who thinks that macro evolution is settled science is mistaken. Neo Darwinism has *lots* of problems, assumptions and unanswered questions even among the die-hards. There is plenty of internal acknowledgement of these problems as well when you can catch them speaking candidly. By the way, I hope those of you who believe the Bill Nye/Ken Hamm debate will be a one-sided bloodbath, all I can say is I hope you make it a point to watch. I'm skeptical it will be fair. I think Bill is walking into trap. Either way; the only thing the creation museum cares about is attention and making $$$ so they win. Blueblood you have shown time and time again you do not even understand the use of the basic scientific theory. Expecting you to understand something like evolution is like trying to do Calculus when you can't add. So YOU explain, where are all those guys in the middle, that all you giant brains claim existed, but no one has seen hide nor hair of? I thought so, come again with some more change up nonsense. Science doesn't set out to prove anything specific; that's what you don't seem to grasp. Examples have already been given to you in this very thread. Either you aren't evolved enough to read and comprehend them or you just ignored them. As for Ken’s motives for the debate, apparently this all came about by an AP reporter who was doing separate interviews with Ken and Bill and made the suggestion to Ken that they should debate one another. Ken agreed and the rest is history. The museum is doing fine from a financial standpoint. "Though no one has spotted a living pink handfish since 1999, it's taken till now for scientists to formally identify it as a unique species." There is no mention of it being an example of a transitional form. Furthermore, there are other species of "handfish" that have been identified which scientists believe are millions of years old and are unchanged. So again, you have to assume it's transitional in order to make the evolutionary puzzle pieces fit because no one has observed it directly or even pieced it together through the fossil records. Making excuses? Not open for debate? Bad idea to discuss. Universally accepted? Sounds a lot more like religion, than, say religion. I'm not making any excuses, let the best science win. You know what the evolutionists are afraid of? You must accept a whole lot of science that contradicts evolution to believe in evolution, and that is where all the fear comes from, and it is coming all from one side! ??????? This young lady stated a lot of things as "fact" that aren't in fact a fact, lol. If the anti-evolution croud has bad ideas, make them look like the fools that they are! Destroy them with your superior knowledge and command of science! Surely there must be someone out there who can do this if Bill Nye isn't up to the task. Instead they want to hide behind the excuse that they don't want to legitimize the creationist position. Please....The problem is they consistently lose these debates because macro evolution wilts under honest-to-goodness scientific scrutiny. I'm not making any excuses, let the best science win. That's what you can't seem to grasp. It's not a debate on science. It's not a science museum. The sooner you understand this the sooner you can understand what is really taking place. Please....The problem is they consistently lose these debates because macro evolution wilts under honest-to-goodness scientific scrutiny. This is actually just plain false. Many people choose only to note the tiny steps (a mutation here, a new function there) and thus believe that only micro-evolution occurs and not macro-evolution. Micro-evolution and macro-evolution are terms used by IDers to try to weasel their way around the truth of evolution. Micro-evolution is supposed to be changes within a species, while macro-evolution means changes that connect one species to another. In reality, scientists decide when enough small changes have been generated (usually through multiple generations) to label a new organism as a new species. Evolution is evolution, period. Skeptics need to take a step back and look at the bigger picture. We all know that micro-evolution is observable and testable. A very simple and common example of this is the fact that every few years we need brand new flu vaccines; viruses and bacteria often evolve rapidly and overcome our current treatments. You USUALLY won’t witness a macro-evolutionary step in your lifetime, because a macro-evolutionary step could take tens of thousands of years to occur. However, one macro-evolutionary step could be the same as a hundred micro-evolutionary steps, and a few of those we CAN see in our lifetime. Looking back on our fossil records, we see all of the tiny steps (through our transitional fossils) and then choose to label a certain group of them as a single macro-evolutionary step. Accepting micro-evolution but not macro-evolution is like accepting that seconds exist but not whole minutes. Then, you have nothing to be afraid of, and Bill Nye, the science guy, should just mop up on this knuckle dragging bearded face Aussie. What could go wrong when you are nothing but right? There is no debate among scientists about whether evolution occurs, any more than there’s a debate among botanists about whether photosynthesis occurs or among physicists that gravity exists. Evolution is all around us, all the time. Evolution is why we need to get a new flu shot every year. Evolution is why your antibiotics are about to become obsolete. By putting a scientist and a non-scientist on the same stage together, there is a real danger of legitimizing creationism and giving the appearance that both sides are equally valid. This is not an issue of censorship. Anyone is free to hold whatever beliefs or opinions they like, no matter how unscientific or false. But there is no obligation to portray both sides as having equally strong or valid scientific arguments, when by any measure they do not. At least learn what your talking about! The flu virus becoming tolerant is not evolution. 1. A gradual process in which something changes into a different and usually more complex or better form. See Synonyms at http://www.thefreedictionary.com/development" rel="nofollow - development . Adaptation is a reason for evolution. It's very simple Bobby. Yeah I guess its like global whining, if everything ends were tards want it then its all proof of their theories. Even though I am not on defense of creation I still find it funny nothing has evolved in recorded history it all just stopped once humans learned to write. I would like to see some real proof either way! No there is none at this point so dont go into what some scientist thinks. I'm not sure why you believe that nothing has evolved in recorded history, but it's probably because of your last sentence. You want real proof but you won't listen to a scientist! lol who is going to come up with proof then? What is your standard of proof!? Sorry matt those are weak at best, dogs riding the subway is evolution. LOL you take this serious? Most are poison related. Alcohol is a poison, the more you drink the more you can drink. Does that mean evolution? No it means you adapt to current envronment. But stop drinking for a year and see that it reverses your evolution. Nice try! So is this evolution or just islamic sheep herders in the middle east making to much love? 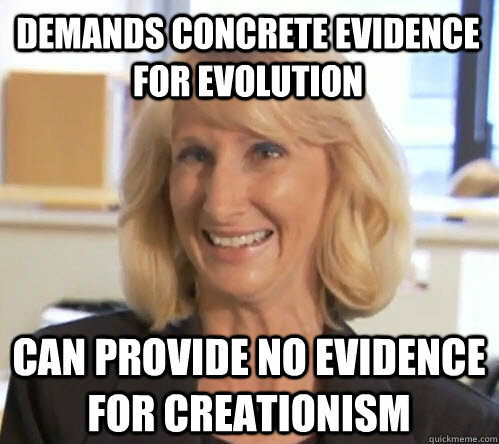 Also, can you please explain the difference between adaptation and evolution? Standard of proof, ugh maybe just life. I have been on both side of the drunk ability through my life. I could drink 2+ liters of 80 proof booze within 6-7 hours and still function. Now I am lucky to get a 750ml down the hatch before passing out. Plus search google for "record blood alcohol levels". Many of those people must have evolved to hit that high of %BAC and live. Not so much they just got use to drinking. I think I defined the difference above, scroll back. I actually transported a lady to the ER that was unconscious from alcohol intoxication and she had an alcohol blood level of .74. She was almost dead but the hospital was able to reverse her condition but it finally took its toll in later years and she died of a seizure due to alcohol poisoning. The problem, though, is that despite fact and hard evidence - people who cling to their faith no questions asked will still say he's wrong. There is nothing wrong with having said faith either - but the bottom line is that creationism is just religion by another name masquerading as scientific theory and/or fact - and it's not. You can poke holes in "evolution science" all you want, but I can turn around and poke planet sized holes in "creation science". If your faith says that evolution is not possible - that's ok. However, until you present fact based, observable, repeatable evidence - again, it's just religion by another name - and that has no place in our public education system. I think that more than anything is the issue - I don't want my kids learning religion in public school simply renamed as creation science, or alternative theory. You copied and pasted something from the dictionary. But that leaves open many questions. Such as, is adaptation being a cause of evolution? Or put another way, maybe evolution occurs because of a need to adapt. A short term "adaption" (if you could even call it that) to handle more alcohol is different than generations of animals breeding and having offspring that are genetically different to adapt to certain poisons etc. It's not like these mice that are evolving to survive our poison are all of the sudden losing that advantage when they get older. And I do want my kids learning that there is a creation science. Just because you don't want it does not mean that everyone doesn't want it. I believe that it should be left to a vote of the people. Not the courts but the general voting public. I for one am tired of a court judge making decisions that affect my family. If the voting public decides to not have it in school then I will teach it to them at home. I believe in God and His Son Jesus Christ. I do believe that He made this earth along with all the planets and if evolution does exist it is by His hand that it is allowed. And besides you with your non-belief do not have any thing to look forward to in death. But a Christian has a whole life in eternity to look forward to. We have stopped teaching our children that there is a Holy God that will judge us after this life and now they are out killing, stealing, and living like there is no tomorrow. That is why this world is in the shape it is in. Which, don't get me wrong, is perfectly fine. As long as it's not in tax payer funded schools. You want that concept taught to your kids, educate them in a religious school and let the rest of us move on . Also, MFD, how many are "out killing, stealing, and living like there is no tomorrow" in the name of your God? You're right, I have nothing to look forward to after death because I will no longer be- but I have plenty to be happy about regarding my death - namely an end to any suffering I may be experiencing leading up to death. A final release as it were. If your kids are going to church and religious school, how are they not being taught about God and religion? I don't need the fear of a big man in the sky to make me a good person. And it is your "right" to believe you are nothing more than a cosmic accident, defying astronomically infinite mathematical odds of occurrence. Thought for today and everyday, without an audible reply being requested or necessary. Whether you believe or you don't believe, has absolutely zero effect on the outcome of it being real or not real. Eternity is a concept in which the human brain is incapable of processing! What you really do not understand is that your "suffering" will just be beginning at the time of your death if you do not surrender your life to God. You will be cast into outer darkness with the wailing and gnashing of teeth. I take this to believe you will be thrown into eternal separation from anyone yet you will still be able to hear the lamentations of those around you suffering in the same way. And yes I think it should be put to a district vote for each school and let the voters decide it they want creationism taught in their publicly funded school. That way you can decide which school district you want to move into. And I do want my kids learning that there is a creation science. Just because you don't want it does not mean that everyone doesn't want it. Religion has no place in the public school system. If you want your kids learning that you should send them to a private religious school. It isn't up for vote. The supreme court has spoken on this. No matter how bad you "want it" doesn't make creationism science. Absolutely right! If you want your children to learn about creationism, send them to a religious school (either full time or "Sunday school") or teach them yourself. Public school should teach proven SCIENCE! Creationism is NOT science. The Supreme Court has no right to tell individual districts what to teach. If the voters in that district want a certain subject in that school then it should allowed. Not only does it have the right MFD it's already done it a LONG time ago. Sound familiar? Exactly what is happening throughout this thread! Wonder what everyone is afraid of? Q: Why are atheists decrying the debate between Bill Nye and Ken Ham? A: The media coverage of the upcoming debate between Ken Ham and Bill Nye at the Creation Museum continues to grow. Many well-known figures on both sides are speaking out about who they believe will win or about whether there should be a debate at all. Recently, famed atheist Richard Dawkins weighed in on the debate in some impromptu comments on a recent web article decrying the debate. Unfortunately, at least in his interviews, Dawkins treats his opposition with a remarkable amount of disrespect and offers little more than blind assertions that evolution is true. Perhaps it’s better that he chooses not to debate biblical creationists as he has nothing concrete to offer, except his typical anti-creationist assertions seen in his books and articles. It’s like a child throwing a tantrum. Dawkins and other atheists don’t want people to hear what biblical creationists have to present. These secularists want to censor what the public will hear, for they know that as soon as people are taught to think critically and correctly about origins, they will understand that molecules-to-man evolution is a belief system. Evolution is really the secularists’ religion to try to explain life without God. Read the whole article for our response to several evidences Dawkins points to in order to refute creation science, such as radiometric dating and the fossil record. I'd rather revisit your comment about how the supreme court can't dictate what is taught in schools. that was certainly spoken from a place of being well informed. I love the spin from Answers in Genesis. "...don't want people to hear what biblical creationist have to say"
Not true. Not true at all. You can say it all you want. We just don't want you saying it under the guise it has anything to do with science. It doesn't. It doesn't hold up to the scientific method at all. Again if you want to teach this stuff go ahead in your church. No one here is saying you don't have that right. You can teach about how the earth is flat there too if you want; nobody will stop you. By the way nobody is throwing a tantrum. Bottom line is you didn't start with trials and end up with an answer of this creation theory therefore it is NOT science. You had your answers....and filled in the blanks and made up a good story. Referring to that as science is an insult to science. This is what people have a problem with. People like you masquerading Church, Faith and God as Science. Completely forget evolution for a minute. The trouble with creation theory is that in order to buy in not only do you have to disregard evolution in general; but pretty much all of science in general. There is just a huge piece of what we know today to be true that you are basically saying is WRONG. All while living with the conveniences and modern amenities that sciences provides you with by the way. Rocks from the iconic gorge provide the clues. Sunrise over Mount Hayden in the Grand Canyon. To the untrained eye, the http://travel.nationalgeographic.com/travel/national-parks/grand-canyon-national-park/" rel="nofollow - Grand Canyon might just look like one big hole in the ground. But to some scientists, the American Southwest's iconic gorge is increasingly looking like several ancient canyons of different ages, stitched together by http://science.nationalgeographic.com/science/earth/the-dynamic-earth/weathering-erosion-article/" rel="nofollow - erosion that occurred about six million years ago, and subsequently sculpted into its modern form. A http://www.nature.com/doifinder/10.1038/ngeo2065" rel="nofollow - new study published in the journal Nature Geoscience, added to more than a century's worth of fieldwork, is helping researchers decipher a geological tale that began unfolding when dinosaurs roamed the landscape. For nearly 150 years, scientists have been debating how and when the Grand Canyon formed, says http://epswww.unm.edu/facstaff/kek1/" rel="nofollow - Karl Karlstrom , a geologist at the University of New Mexico in Albuquerque. In recent decades they've mostly split into two camps: those proposing a "young canyon" model in which the http://environment.nationalgeographic.com/environment/freshwater/colorado-river-zoomifier/" rel="nofollow - Colorado River alone carved much of the gorge in the past five million years or so, and those suggesting an "old canyon" model in which a series of ancient rivers carved ancestral canyons along more or less the same route. New research by Karlstrom and his colleagues bolster the notion that what actually happened lies between these two extremes. To help estimate ancient erosion rates, the team turned to http://www2.le.ac.uk/research/festival/meet/geosciences/szameitat/thermochronology" rel="nofollow - thermochronology —the study of how a rock's temperature has changed through its history. Because temperature rises as depth in the Earth's crust increases, a rock's thermal history provides insight into when, and how quickly, terrain above it eroded away. In the new study, the researchers used a variety of techniques to analyze samples of phosphate-bearing rocks taken from four of the five major sections of the canyon, both from river level and from the canyon rim, which typically lies almost a mile (1.5 kilometers) above the river. One technique, called apatite fission-track dating, involves counting the number of paths carved through apatite crystals by high-speed alpha particles (helium nuclei) emitted during radioactive decay. Because the atoms in these crystals tend to shift and heal such defects at temperatures above 230°F (110°C), the number of paths remaining in minerals today gives researchers a sense of how long ago the rocks cooled below that threshold. Similarly, by analyzing the amount of radiogenic helium trapped in apatite crystals, the researchers could estimate how long ago the rocks cooled to below 86°F (30°C). Finally, by measuring the length of fission tracks remaining in apatite crystals, the team got an idea of how long those minerals remained at intermediate temperatures. Like several previous researchers, Karlstrom and his colleagues found that different parts of the canyon formed at different times. One of the oldest segments, named the Hurricane segment after a famed geological fault, lies in the western portion of the canyon. Data suggest that this stretch of the gorge had been carved to about half its current depth between 70 million and 55 million years ago. But the researchers posit that erosion hadn't started etching a section that geologists have dubbed "Eastern Grand Canyon," immediately downstream of where the Little Colorado River joins the Colorado, until some 25 million years ago. And the team's analyses suggest that the westernmost and easternmost segments of the canyon were largely carved in the past five million or six million years. Karlstrom and his colleagues argue that while the Hurricane and Eastern Grand Canyon segments were originally sculpted by different rivers, the Colorado took over the job in the past six million years, joining the disparate canyons and carving them wider and deeper. "Overall, I think they've done a really good job," says http://www.geo.arizona.edu/%7Ereiners/" rel="nofollow - Peter Reiners , a geochemist at the University of Arizona in Tucson. "This new model isn't just a compromise of all previous notions; it's recognition that a big river can have a complicated history." Not everyone is convinced. http://www.gps.caltech.edu/people/wernicke/profile" rel="nofollow - Brian Wernicke , a geoscientist at the http://www.caltech.edu/" rel="nofollow - California Institute of Technology in Pasadena, points out that interpreting thermochronology data, especially fission-track data in terrain where erosion carves downward as well as sideways, is notoriously difficult. "The new model seems to be much too complicated," he says. The grand canyon is a giant trick on mankind? Not a trick but a wonder of His glorious hand! That's not how I read that passage. Are there unicorns in the Bible? Some people claim the Bible is a book of fairy tales because it mentions unicorns. However, the biblical unicorn was a real animal, not an imaginary creature. The Bible refers to the unicorn in the context of familiar animals, such as peacocks, lambs, lions, bullocks, goats, donkeys, horses, dogs, eagles, and calves (Job 39:9–12, KJV.) In Job 38–41, God reminded Job of the characteristics of a variety of impressive animals He had created, showing Job that God was far above man in power and strength. Job had to be familiar with the animals on God’s list for the illustration to be effective. God points out in Job 39:9–12 that the unicorn, “whose strength is great,” is useless for agricultural work, refusing to serve man or “harrow (plow) the valley.” This visual aid gave Job a glimpse of God’s greatness. An imaginary fantasy animal would have defeated the purpose of God’s illustration. Modern readers have trouble with the Bible’s unicorns because we forget that a single-horned feature is not uncommon on God’s menu for animal design. (Consider the rhinoceros and narwhal.) The Bible describes unicorns skipping like calves (Psalm 29:6), traveling like bullocks, and bleeding when they die (Isaiah 34:7). The presence of a very strong horn on this powerful, independent-minded creature is intended to make readers think of strength. The absence of a unicorn in the modern world should not cause us to doubt its past existence. (Think of the dodo bird. It does not exist today, but we do not doubt that it existed in the past.). ......and when you can produce a unicorn fossil you will have a point. People didn't just dream up the dodo bird from drawings on a cave wall; we have actual physical evidence that they once existed. They are called fossils. Now unicorns on the other hand, nobody has ever found a unicorn fossil.....that's where faith comes in again. So just to summarize....you believe in unicorns, but NOT that it took millions of years to form the grand canyon. I can't think of a better point to show why a real conversation rooted in science simply cannot take place. I don't mean that as an insult; it's just the way things are. Ah you beat me to the punch. You mean like the fossil evidence that has never once been found, yet you believe wholeheartedly that we came from apes and the universe is just one cosmic collision of an accidental happening! Who really has the strongest religion and the greatest of faith? Whether you believe or don't believe, has absolutely zero effect on whether it is real or not. The human brain cannot comprehend eternity. I'm not doing it a second time. On the flipside, where are all of the cities, records or people places and things mentioned in your bible? By your logic, your faith is not true due to supposed lack of evidence. And are you really debating if we've found the interspecies remains? seriously? The Bible is the most accurate historical document known to man in finding archaeological cities that it references. It has been proven over and over to be accurate and is taken as the "gospel" for everything except its religious references. It has been question over and over, only to be ultimately shown to be correct. the bible talks of plenty that can't be found. And let's not forget about that guy that lived in the belly of a fish for a few days. Gee I wonder why people don't take that part seriously. And for that matter, where are sodom and gomorrah, the garden of eden, babylon, the tower of babel, the cave jesus was laid to rest in.....hmm? While there are plenty of artifacts from the Bible that are verifiable, I would suggest there are even more that are not. Which makes sense considering its a collection of stories passed down from generations - so there is bound to be loads of inaccuracies. How many of us have an uncle, grandfather, neighbor etc., that at one time had a car that got 100mpg with some super secret carburetor that the car company showed up and confiscated? A stretch, but similar concept. Archaeologists believe they have found the locations of Sodom and Gomorrah. They have also found the ancient cities of Babylon which by the way was most likely the location of the tower of Babel. If they continue to dig through the rubble they may find pieces of the tower. And the tomb of Jesus is also known. And guess what? There is no body inside. Why? Because He was raised by the hand of God on the third day. People saw Him and not just a few. It was several hundred that saw Him and you still will not believe even when these artifacts are presented to you but will believe the untruth of evolution. What can I tell you that would make you believe? Nothing but what you chose to believe. But I am still motivated by His love to tell of His saving grace and how you too can be found in His love eternally. Only He can give you eternal life but you can chose eternal death. jesus tomb has been found? Yeah...James Cameron found it...LOL....and you know what else he found? Right back at you chief - no matter how much proof is presented regarding evolution, the earth's age etc., if you choose to believe its some sort of scam, then I can do nothing else. That's the funny thing about science, is true whether you believe it or not. All this visual does is explain your lack of understanding about evolution in general. While the old (read: incorrect) mindset was the evolution was a linear progression - as in your chart, modern science has reached agreement that evolution is not necessarily linear, but rather includes multiple branches and has no real direction. As far as missing fossils - well its not that hard to explain. As early as the 1800s, fossils of prehistoric man were being uncovered in good numbers - and they were legit - not the infamous piltdown scam you love to quote. As the world has become less unknown and more explored, we find more remains on an almost regular basis. Furthermore, there is no such thing as a single "missing link" because there is no single jump from A-Z - there are multiple changes over time leading to multiple versions - much that your chart alludes to. However, as with many things over time, they are just lost to time. Exodus 15: God is a God of war. Romans 15: God is a God of peace. John 10: My Father and I [Jesus] are one. John 14: My Father is greater than I [Jesus]. Genesis 7: 7 of each clean animal into the ark. Genesis 7: 2 of each animal [clean or unclean] into the ark. Numbers 12: Moses was a meek man. Numbers 31: Moses had all the men killed so he could keep the women and children for himself. Psalm 92: The righteous shall flourish. Matthew 27: The last words of Christ: "My God, my God, why hast thou forsaken me?". Luke 23: The last words of Christ: "Father, unto thy hands I commend my spirit". John 19: The last words of Christ: "It is finished". So if infallible, why does god contradict itself? God is either schizophrenic, or is nothing more than amalgamation of stories and beliefs rolled up into one epic poem. Jesus father: Jacob (Matthew 1:15) or Heli (Luke 3:23). This directly conflicts with Jesus being born of a virgin - if that's the case, he has no father and thus genealogy listed in the bible is useless and completely wrong. Genesis 1 and 2 have different timelines of what god accomplished on each day. In one, adam is made on the 3rd day, on the other all of the vegetation is made. So which is it. God is all good, all loving etc...then why is there uncountable suffering and pain? Infinite punishment for finite sin? really? Sorry to rant, and per usual - I mean no offence, honestly. I have zero issue with religion at all, as long as it's not affecting me, the laws we all have to obey, or my kids. If religion provides you solace and happiness, that is a wonderful thing. Garden of Eden is believed to be located as to what is now Al Nasiriya in Iraq. Little history on Sadam Hussain he believed himself to be the (not sure how to put it) almighty in his palaces there are murals of the past present and future all Sadam the almighty. He was having the tower rebuilt so he could reach the heavens as told to me by an Iraqi. I had the fortune of walking through the excavated remains of Abrahams house and received history from an Iraqi whose family was curators of the site for many generations. I have also stood on the top of the ziggurat. Keep in mind the info on the tower of babel is as told to me from an Iraqi and their beliefs. About that Tower of Babel. I'm curious about what you mean. Do you think that the tower used to exist as mentioned in Genesis? Meaning that there actually existed a tower with people trying to reach Heaven, and that this is actually possible? Or do you believe that the tower was just a city built by people who shared one language, and that this is how we can explain people speaking different languages? I just gotta ask because apparently some folks believe in unicorns around this joint. What belief in unicorns isn't ok with you? Oh...they believed. It must be true then. I mean it just MUST be. Do they believe in unicorns too? If I believe I can fly can I? I mean no offense but we are talking about real things here. People tell me Machu Picchu exists and i can go see it with my own eyes. Same with the pyramids. These things when you see them are undeniable. The only sites I see referencing the ruins of the tower of babble are all creationists based religious sites. Why is that? Jrock, I can see your ignorance of the Bible. I too was this way until I gave my life to Jesus and He gave me the Holy Spirit which began to explain some of these seeming contradictions. If you were willing to confess your sins and accept Jesus as your Saviour and God's Son that gave His life for us on the cross so we can live eternally with Him in Paradise then you too will start to learn of the mysteries of the Bible. I will attempt to explain some of these that you have posted. Exodus is a song by the Israelites singing to God about Moses and God saving them from the Egyptians. Romans explains what God is for He is a God of peace and He gives you the only true peace in the world. In John; Jesus, the Father God, and the Holy Spirit are one. Yet the Father is over the Son. Just like a household where there is the father and two sons. The father is over both sons yet there is one older son and a younger son where they both have a vested interest in the house and the protection thereof. Among the animals, whatever divides the hoof, having cloven hooves and chewing the cud—that you may eat. 4 Nevertheless these you shall not eat among those that chew the cud or those that have cloven hooves: the camel, because it chews the cud but does not have cloven hooves, is unclean to you; 5 the rock hyrax, because it chews the cud but does not have cloven hooves, is unclean to you; 6 the hare, because it chews the cud but does not have cloven hooves, is unclean to you; 7 and the swine, though it divides the hoof, having cloven hooves, yet does not chew the cud, is unclean to you. 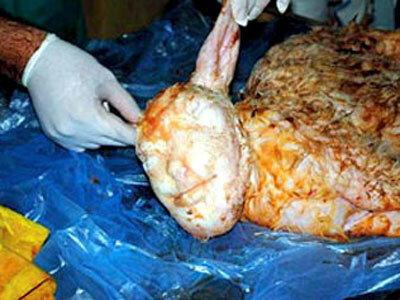 8 Their flesh you shall not eat, and their carcasses you shall not touch. They are unclean to you. In Numbers you confuse the word 'meek' with the word 'weak'. Just because Christians are 'meek' does not mean they are 'weak' but it means they are 'humble'. Just because they refuse to revolt at times and allow themselves to be harmed it is for the glory of God. All the Apostles were injured and all but one was martyred. This action brought thousands of people to Christ because they wanted what the Apostles had and were willing to die for. Just like Christ died for us. Do you not think the Son of God could have come off the cross and killed every person that did not believe in Him. He could have assembled an army of angels that would have wiped the earth clean (and one day He will). But instead He chose to give His life away so that we can have His saving grace. Seems kind of odd doesn't it? But God's ways are not our ways. Psalms are prayers and songs and they are singing that the righteous will flourish and we will. It will be at the end of time and we are all in Heaven and there will be a new Earth that we will live with God forever. And Isaiah is a prophet that predicts the end of this earth and the rapture where all the righteous will be taken up to heaven by Jesus leaving all the non-believers to suffer through the Tribulation period (a time of trials and suffering of 3.5 years). And finally what you have quoted in Matthew, Luke, and John is the crucifixion where Christ is suffering. Where He says "Why have you forsaken me?" He has never been separated from God but at this point God has put all sin (past, present, and future) on Christ's body and since God cannot be where sin is He has separated Himself from the Son until He delivers the sin back to Satan. Which He does go into Purgatory or Hell and redeem those that believe He is the Christ. So just before He dies He tells God and those standing near that He is going back to the Father that sent Him with "I commend my spirit" and then He tells them "It is finished." which pertains to His work here on earth. He is leaving after doing what the Father sent Him to do and He will be sending the Holy Spirit to replace Him. Now since He was only one person He could only be in one place at one time but the Holy Spirit since He does not rely on our physical laws can be everywhere at once. So everyone that believes can have the Holy Spirit within them and communicate with God at any time. I hope this answers your quotes in the most basic way I could think of. There is a lot more to it. More than I know at this point as I am learning more everyday and every time I read my Bible and God reveals more of His plan to me. It is a very exciting time in the life of a Christian as we can see God getting more and more ready to send His Son back for us. It may not be in my lifetime but it is close as all the predictions from the old prophets have been completed except the signing of a peace accord between Israel and their enemies. And that you can see is coming.